The newly-independent Finland was an advanced society when it declared independence on 6 December. It had its own national economy, parliament, education system and cultural life. It did not have its own army, border guard or foreign ministry. The Finnish national economy was based on the fact that the country had its own currency and a customs border with Russia. Customs duties brought revenue to the state, but on the other hand, Russia could use its own customs duties to hamper the export of Finnish products. Finland also had its own budget, separate from the Russian state budget. The railways were connected with the Russian rail network, and the track gauge was the same as in the entire Russian empire. The Finnish currency, the markka, had been introduced in 1860. In 1865, the markka became the only legal tender in the Grand Duchy of Finland. The markka was a more stable currency than the Russian ruble after it was attached to the gold standard at the end of the 1870s. During the First World War, Finland had to abandon the gold standard. In addition, the exchange rate between the markka and the ruble was fixed, which was a disadvantage for Finland due to the weakening of the ruble. 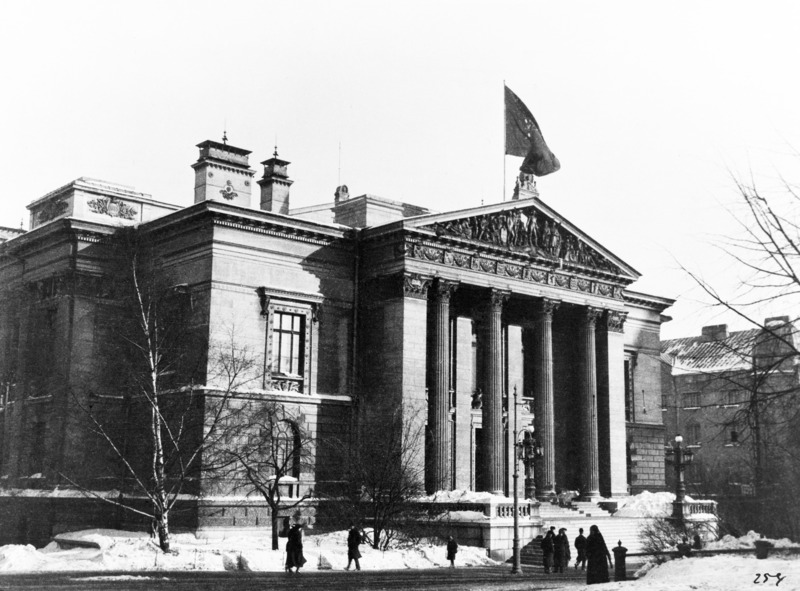 Finland had its own central bank, the Bank of Finland. In 1917, the printing on the markka banknotes was in Finnish, Swedish and Russian. Russian had been introduced in the 1909 banknote reform. When Finland became independent, Finnish and Swedish remained. Coins had on them the Russian two-headed eagle, which was removed during 1917. Finland had had its own stamps from 1856 to 1901 until Russia banned their use. Finland’s own postal service had been moved under the Russian postal service in 1890. After the March revolution, the independent status of the Finnish postal service was restored. The beginning of October saw the introduction of the lion-themed stamps designed by Eliel Saarinen. The Diet of Finland, with representatives of four Estates, had convened in Finland regularly since 1863. From 1907, Finland had had a 200-member parliament based on universal and equal suffrage. At the time, about ten per cent of the MPs were women. The constitution of Finland was inherited from the time of the Swedish rule. According to the declaration of independence issued in December 1917, Finland was a republic. However, after the civil war, the parliament made preparations for a transition to monarchy. The intention was to get a German king on the throne of Finland. A contributing factor to the monarchist plans was the fact that most of the social democrats, having participated in the rebellion in one way or another, were excluded from parliamentary work. The plans for a German king as Finland’s head of state fell through when Germany was defeated in the First World War. The parliament approved a presidential form of government in the summer of 1919. The president was given broad powers, such as the right to order new elections and lead the country’s foreign policy. In 1917, there was one university in Finland, the Imperial Alexander University in Helsinki, which had more than 3,000 students. In addition, there were the University of Technology and the School of Economics in Helsinki. Plans were in the pipeline to establish both a Swedish and a Finnish university in Turku. There was no compulsory education yet, but the primary school system covered the entire country. Schools leading to university were mostly located in the most prosperous parts of the country, in Southern and Western Finland. Folk high schools, established after the Danish example, offered general education courses. In 1917, there were 114 newspapers published in Finland. Approximately 90 of them were in Finnish, the rest in Swedish. The Helsinki-based Social Democratic Työmies was the largest of them. Since the 1860s, Finland had been deliberately building national cultural institutions. In Helsinki there were the National Museum, Ateneum Art Museum, Finnish Theatre, Swedish Theatre and Finnish Opera. In addition, there was also a Russian Theatre in the capital. Other towns had their local cultural institutions. In the countryside, people sang in choirs and played in amateur theatres and brass bands. The sports movement had over 50,000 followers. When Finland became independent, it did not have an army of its own. Military units deployed to different parts of the country, which comprised Finnish conscripts but were part of the Russian army, had been disbanded in the early 1900s. The Finnish army was formed around the White Army that fought in the 1918 civil war on the side of the legitimate government. Russian soldiers and gendarmes had been responsible for guarding the borders. Finland’s own border guard started in 1919; before that the border was guarded by soldiers of the army. Foreign affairs had been entirely in the hands of the Russian central government. The Finnish Foreign Service was established after the civil war in 1918. Finland had had its own passport already during the Russian rule.